← Are You an Overcommitted Professional? Not Sure – Check Your Résumé. Posted on February 24, 2014	by Denise Banks-Grasedyck, Coach. Consultant. Speaker. People walk in at various stages of a meeting that has more or less begun. They are introduced by the “off-camera” voice of the virtual operator. They introduce themselves again. They talk over each other, coffee machines hiss, buzzers buzz, toilets flush, dogs bark with the vocal capacity of classically trained tenors on steroids, suggestions are made, arguments presented and questions repeated. The scene is funny and uncannily familiar, I think, as I watch the video posted on the Huffington Post online. The video sketch depicts what it would be like if in-person meetings ran analog to many conference calls. Ah yes, the conference call, it may appear harmless, but be forewarned, this little beast eats unsuspecting OCPs (a.k.a. overcommitted professionals) for breakfast, lunch and sometimes dinner. Yes, the “real life” conference call sketch is funny, until you think about all the time and energy expended every day in corporate offices around the globe on calls EXACTLY like the video depiction. The time and energy wasted contributes to more overload for overcommitted professionals, like you. That’s where the fun ends. It doesn’t have to be that way. A well-organized conference call can be a great time and money saver as well as an excellent way to support your team-building efforts amongst colleagues that work as virtual teams, sometimes thousands of miles apart. Here are a few simple tips to help you and your team or colleagues make the most of conference calls and your time and energy, instead of being one more commitment that should have been avoided. Conference calls need structure and clear rules of etiquette similar to those of a live meeting. Before you commit to the meeting, ask for the agenda and if you are hosting the meeting, remind people in advance of what is expected and acceptable behavior on the call. Just as you would not take a screaming baby, a barking dog or your hissing espresso maker into a live meeting, you should not allow them into the conference call. This is why the mute button exists; use it! Unless you are speaking, mute your phone. To avoid those annoying moments when you present your arguments for five heated minutes only to remember that you are on mute, simply pay attention! Stop. Multi-tasking. During. Conference. Calls!Actually, do yourself a favor and just stop multi-tasking altogether. Studies show that this simple act, being fully present with the business at hand, will improve your efficiency and proficiency in almost anything you do. Give each other the respect of being present and you may actually find that a conference call can be a fantastic budget-friendly time saver that actually supports and increases efficiency. Follow this simple rule, if you wouldn’t do it in a conference room, don’t do it on a conference call. ASSESS the need for you to commit. Is there a real need for your participation? If not, don’t commit. ALIGN the activity with your goals. Does this contribute to what you want to achieve today or in the long-term? If not, don’t commit. ACCEPT / APPROVE only those commitments that receive a “yes” on the assessment and alignment questions. Every commitment is a step that is either on or off your path to freedom and your ideal life. You choose. You MAKE IT HAPPEN! This entry was posted in Insights, Success Tips, Work, Life and Balance and tagged achieve your goals, productivity habits; Magic Monday, success strategies. Bookmark the permalink. I saw that video when it came out and laughed so hard I had to send it to my husband who spends his entire day on conference calls in his global company working with virtual teams. There was so much truth to that, and… so much truth for the busy entrepreneur who is running a virtual company as well. So much time is wasted! I love your tips, and they should be mandatory reading! I’m going to keep this checklist handy before I say yes to my next conference call request! You’ve got to love trying to implement rules virtually. There always seems to be someone who doesn’t get it. This is why I like using Skype when possible. Thanks for the great tips! 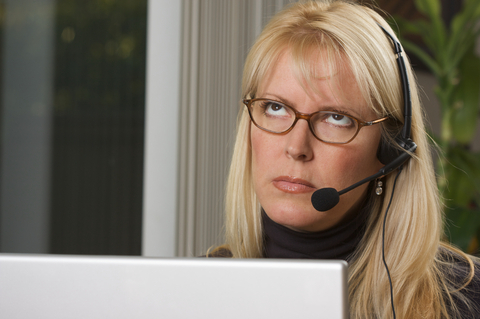 I am still laughing at my imaginary video of what all the conference call participants are actually doing!! We all know we multi-task on conference calls, especially the ones with 90% listening and only 10% talking (yawn, boring!!). And, I love your points about how to get the most of of the ones I do need to run and whether being on the call is truly needed. Aly, you know I am curious now…what could they be doing?! Thank you. OMG! Agreed! Every conference call needs clear guidelines about what it is for and what needs to be accomplished before hand. Oh how we forget the simple things! It’s a new age with new etiquette, time to adjust and adapt.